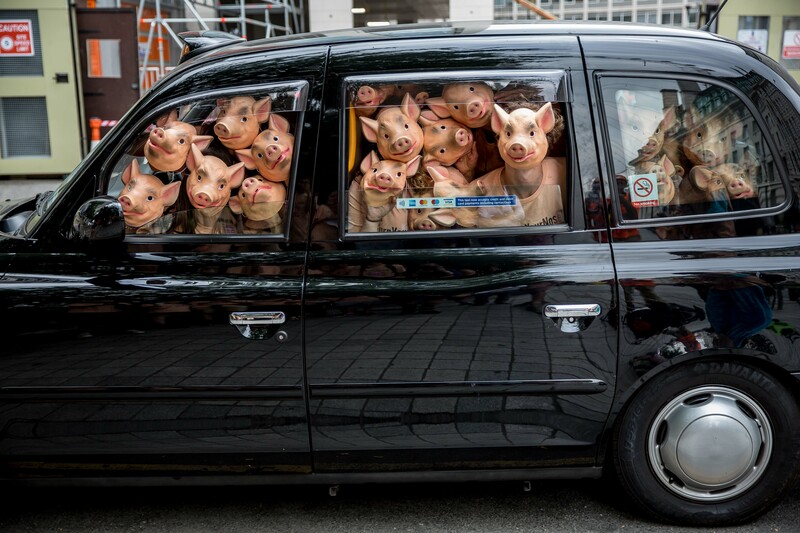 To mark the launch of our ‘Rooting for Real Farms’ video series – part of our campaign to end factory pig farming – our office and friends took to the streets as a mob of unruly swine to spread a very visual message to the public. 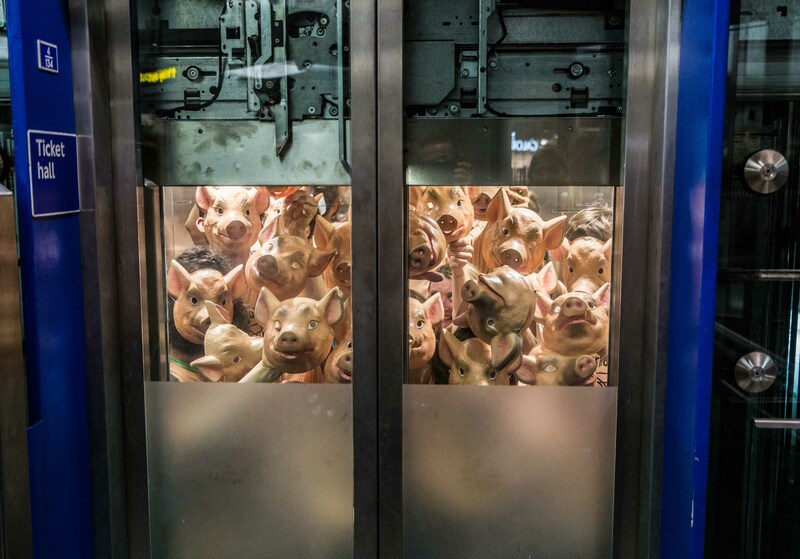 During what was perhaps one of the hottest weeks this year, we stuffed ourselves into phone boxes, lifts, tube carriages, buses, and a black cab to raise awareness of the unrelenting cruelty to pigs in factory farms. Enduring 5 minutes (posing for the press!) 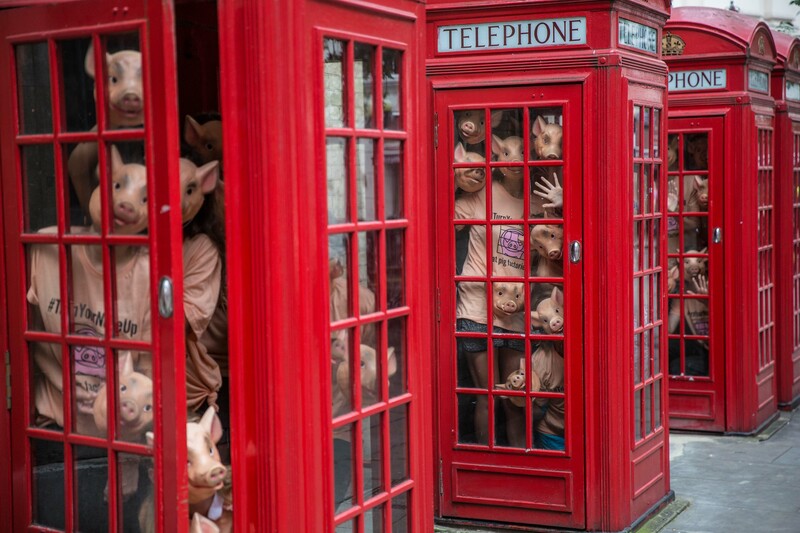 crammed into a piss-ridden telephone box was foul but no comparison to a pig’s lifetime in a barren, overcrowded pen, lying in faeces, which is the grisly reality for the 75% of pigs that become pork for the UK market. As it stands, welfare standards are higher in the UK than in the EU, however as we move through the uncertainty of Brexit, this hangs in the balance. We currently import over half of our pork from the EU, around 70% of which comes from industrial farming conditions that are illegal in the UK, and a proposed trade deal with the US could mean even worse is to come. If Liam Fox and Boris Johnson get their trade treaty with the US, our farmers will be pushed into an even faster race to the bottom in terms of being forced to increase the numbers, intensity and misery of factory farmed pigs to compete with cheap imports. 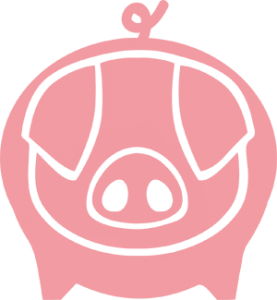 US pork imports would be cheaper as, unlike in the EU or UK, it is legal in the US to promote growth by constantly adding antibiotics to the feed, dosing the animals with Ractopamine (a muscle growth promoter) which has been banned in 160 countries including the EU and China, and keeping the mother pig in a narrow steel cage for her entire pregnancy as well as while feeding her piglets. 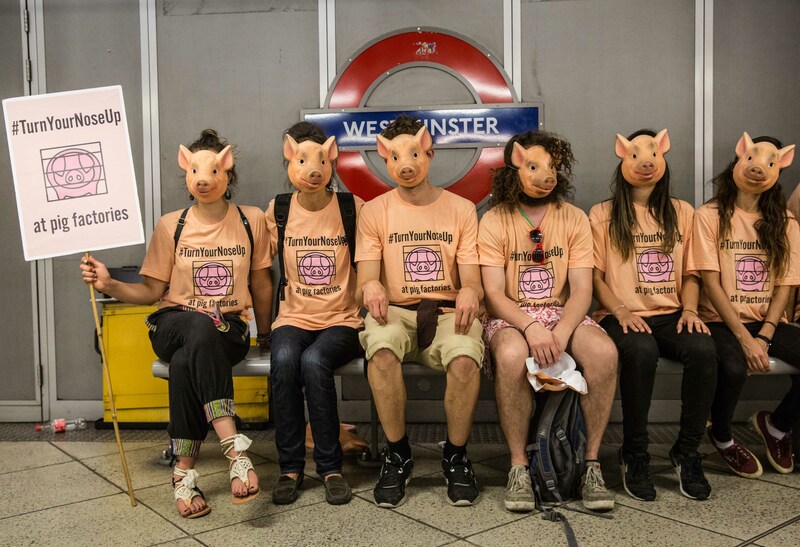 Therefore, our aim was simple – to squeeze ourselves into public view, showing London, and beyond, the gross mistreatment that factory farmed pigs suffer worldwide. Whilst our message was rather sobering, we still managed to have a lot of fun along the way, and can’t thank our volunteers enough for their support and energy on the day. They were inspirational! Sign the 38 Degrees petition to Liam Fox calling for a trade deal that protects the UK’s food standards. Boycott factory farms – Only buy meat labelled Outdoor, RSPCA Assured, Free Range, or best of all, Organic. 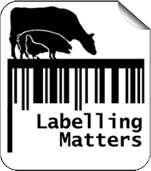 Find out more about the different labels here. Watch and share our ‘Rooting For Real Farms’ episodes – see here. Follow us on Twitter & Instagram, and Like us on Facebook!